A dive into the role of coal in a world dominated by renewables. Storied government enterprises are either too glorified or too harshly criticised by those who care to document them. But this book is not just another memoir penned by a retired bureaucrat about his three-decade-long professional life and the company he served. What Partha Sarathi Bhattacharyya, former Chairman and Managing Director of the central public sector enterprise Coal India (CIL) tells us is an intriguing evolution from a loss-making entity to India's third largest profit-making CPSE. CIL is a bellwether and accounts for 15 per cent of the cumulative net profits of 174 profitable CPSEs (out 257 operating ones). Around 84 per cent of India's coal output comes from its mines, an indication of the pivotal role it plays in a country that depends on coal for 73 per cent of its power generation. With about 3,00,000 workers across the parent company and its subsidiaries, it is also one of the largest CPSE employers. The makeover is thus closely linked to India's economic transformation from a sociopolitical ecosystem that used to promote an all-pervasive rent-seeking culture through its CPSEs to one that seeks to maximise the potential of its CPSEs for greater common good. The first two chapters talk about the early days of coal mine nationalisation, the following monopoly and inefficiencies, and the mafia it created. Next, the book relates the bold experiments that the writer and his team tried out in tune with India's tryst with economic liberalisation in the 1990s. The new-found focus on financial sustainability, technology, social responsibility and employee-friendliness has been covered in the next two chapters that further narrate CIL's big-splash capital market entry. Its $3.5 billion IPO was oversubscribed 15 times, turning the company into one of the most-valued (in terms of market cap) public-listed entities. But that is not the end. 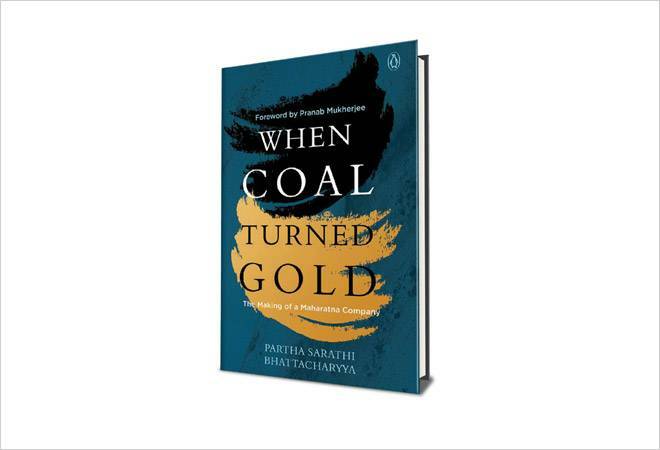 The writer's views on coal as an energy option include forward-thinking observations, given that India wants to generate 40 per cent of its power from renewable sources in a decade or so. While the financial, political and social implications of CIL's transformation make the book an interesting case study of public-sector rejuvenation, Bhattacharyya's tips for the future tell us to prepare for the coexistence of coal and renewables in near-to-medium term, in a manner that is sustainable and competitive.